*full disclosure: an online screener of this film was provided by Raven Banner Entertainment's publicity arm. Writers: Matt Booi and Leo Scherman. Cast: Karine Vanasse, Rossif Sutherland, Rob Archer, Charlie Carrick, Shaun Benson, Ted Atherton, Adam Hurtig and Robert Stadlober. Leo Scherman's Trench 11 is a World War I set horror film. There have been other horror films set in this time period, including Michael J. Bassett's Deathwatch (2001). This time, six Allied soldiers are tasked with exploring an underground, German medical complex. Shot in Winnipeg, Manitoba, Trench 11 offers some great practical make-up effects, from Francois Dagenais (Dawn of the Dead, 2004). 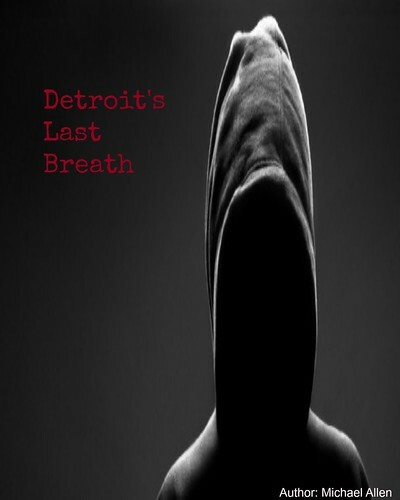 However, the plot and the characters are a bit lightly drawn. Meanwhile, nothing about Trench 11 sounds like World War I. The costumes look great. Still, it is always strange to see a Canadian character with an American accent. At the end of the film, this horror film fan found Trench 11 a bit uninspired. As mentioned, Dagenais creates some great body horror. The character Budman (Luke Humphrey) loses part of his face, in a late scene. The prosthetic dummy bleeds realistically. Another minor character is blasted with machine gun fire and comes out the worse-for-wear. Protagonist Berton (Rossif Sutherland) is chased down a tunnel by a German soldier, who looks more like a monster than anything else. Other characters meet similar, desperate ends. And, almost all of the effects are practical, within Trench 11. Some action elements sizzle; others don't. The story is a bit less impressive. On paper, six Allied soldiers investigating a German medical, underground facility sounds interesting. Somehow, the script ideas did not transfer well to the screen. Almost all of the characters are simply flat; they are there to fill the screen and the body count. Villains receive even less of a backstory (none at all). There is no meta storytelling here. All of the story details come across as a bit shallow. Even the protagonist has only a dimension or two and not enough to draw this viewer into the film's reality. 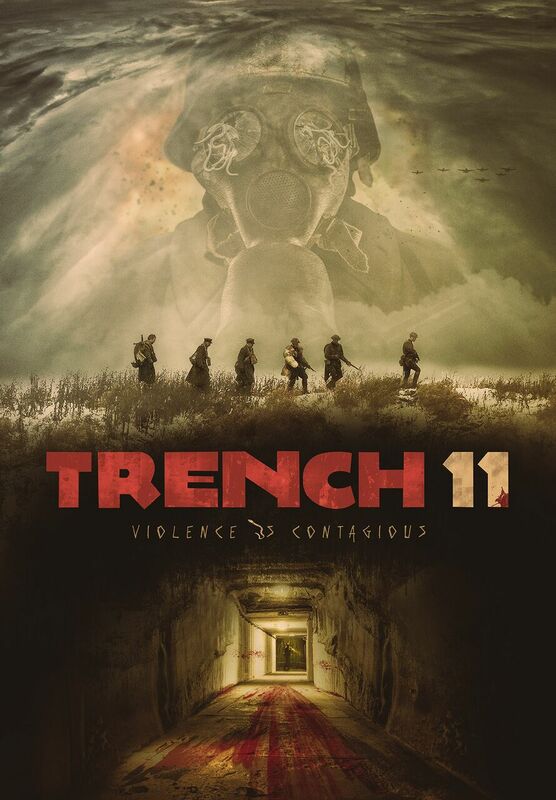 On the topic of film reality, Trench 11 rarely sounds like a World War I film. Something was missing in the sound design - there are almost no ambient sounds. As the allied soldiers approach a German trench system, there are no shells going off, no gunfire, no reconnaissance planes. Everything sounds very quiet. No World War I film should every be silent, especially on the front lines. Also, if you are a fan of music in film, you will not find much here, until the final few minutes. Meanwhile, the costumes and set decorations look great. But, all of the sets are a bit too clean. Front line warfare would be dirty and probably rat infested at this point in the war (1918). Trench 11 does not create a very strong war-like tone, throughout most of the film. WW I costumes consistently look great and unusually clean. Trench 11 is just missing something. It is great to see a Canadian horror film being produced. However, the lack of character backstories and motivations will not endear most viewers to these characters. There is only a bit of action and conflict, in the underground bunker and facility. Infectious monsters appear once in awhile. But, any tension is missing as threats to the characters only appear sporadically. There is quite a bit of exposition and philosophizing that does come late in the picture. Even these lines of dialogue come across as artificial. What frontline officer has time to talk about politics? Trench 11 also offers few surprises. There just is not enough material here to deliver an exciting time. Still, Trench 11 does offer some indie charm. Horror film fans will find the film in several Canadian cities, this August 31st (through Cineplex). RLJ Entertainment will release a DVD version, of the film, in the United States (September 4th). This viewer was not particularly drawn into the film's realism. As well, World War I films have been done to death and this critic is no longer really entertained by them. Fans of practical effects will be amazed by some of the wizardy here. Still, the story lacks impact. And, secondary film elements, like sound design and music, are almost non-existent. Just like World War I, Trench 11 is a bit of slog, in a very quiet frontline.